I’ve had a pretty easy life, really. Unlike the more affluent, I was born with a wooden spoon in my mouth–the capacity and the aptitude for work and an upbringing which placed a high value on it. Beyond skinny legs, a strong back, brown eyes, thick hair and a fair sense of humor, my inheritance is negligible, but that spoon…as it always has, continues to serve me well. The epitaph on my father’s headstone reads, “Rock-solid, light-hearted”…a brief, but fairly apt description of a man who stepped into the harness early, provided for a family of seven as a millworker doing the same repetitious work his entire career with never more than two weeks off a year and retired with very little savings but never lost his sense of humor. I knew many people of his generation who lived similar lives and I have a lot of respect for this kind of sticktoitiveness, but vowed early on to never let myself “get stuck” in this kind of situation. Seeing so many people like my father reach “retirement age” without the good health to enjoy it…or worse, simply not being able to stop and relax, I also vowed at an early age to not wait till I was retirement age to enjoy life! I’ve always worked of course, but without children to feed and not being particularly concerned about a comfortable retirement, I have never been forced to cling to a job I didn’t care for. I’ve moved from place to place and job to job collecting an array of experience that spooks potential employers and makes resume writing a several-day chore, but gives me a fair number of options when I arrive in a new location. So what has it all been about? I look at my contemporaries who have stuck around home and raised families and are now enjoying taking their grandchildren skiing at the lake on hot summer weekends or traveling about the country in comfortable RVs and I sometimes wonder if I slipped up somewhere. I don’t have kids or grandkids, I don’t own anything that won’t fit in my 15 year-old truck, I have minimal funds put away and while my friends are juggling their retirement portfolios and browsing winter getaway options, I’m still trying to figure out what I want to be when I grow up! I jumped off the “gravy train” a while back leaving a comfortable, good-paying county position to take up a new career in property caretaking. It wasn’t that I was tired of the job I had…in fact I was enjoying the position and the place I lived at the time…nor was it even that I was tired of working; it was more a matter of feeling that full-time work was getting in the way of what I was really meant to do. Property caretaking was simply a means of sustaining myself and keeping a roof over my head while retaining enough free time to pursue matters more important than padding my retirement or keeping up the payments on a bunch of stuff I don’t need. It’s been 2 ½ years now since I took that leap. I still haven’t figured out exactly what those important matters I am supposed to pursue are, but the mists around Avalon are beginning to clear. I am beginning to understand that all my experiences so far have been preparing me for what lies ahead. I have no idea where I might be led, but my new model could be Mother Theresa or Nelson Mandela or Jimmy Carter…or any of those who realize that life isn’t simply a long, laborious uphill climb with an airy downhill glide near the end as a reward. The reward is here now…available to all of us, regardless of age, income level or past experience. The reward is Love. It is something we can only experience when we step back, get out of the way and let it flow through us. It is what we can only experience through serving others. It is our whole purpose. In the introduction to “A Return to Love”, Marianne Williamson states, “Love is what we were born with. Fear is what we have learned here.” Fear is responsible for everything we find uncomfortable or dissatisfying…or evil. Love (God) is in each of us; fear is what obscures it. Take away fear and anything is possible….cleaning up our oceans, ending poverty and even world peace! Nearly 50 years after helping conduct Sunday evening services for a few people off the street wanting a hot meal and a place to sleep at a mission in Salem, Oregon, and me wondering why I was there, I am finally beginning to understand why I was uncomfortable. I was afraid of those people. I was not offering them what they wanted but merely playing a part in a play they had to sit through before they could eat. A homeless person recently expressed the frustration I saw in those eyes years ago, “I’ve probably accepted Jesus as my savior 50 times and I’m still on the street!” I didn’t love them, I wasn’t really helping them…I couldn’t even see them beyond the dirty clothes and the smell of alcohol! Since we all–even the most unconscious/evil/psychotic among us—have Love hidden somewhere inside us, we recognize it when we sense it being expressed and move toward it like children migrating to a warm stove on a cold winter morning. None of us really need to be told anything—even how to find God/Love, but we all need to feel love occasionally so we are reminded how it feels. Exposed to just the right amount of it, we begin once again to radiate it ourselves as we did before we learned fear. It expresses itself as an urge to serve, and if we respond to that urge, like the trickle through a pinhole in a dam it gradually erodes the fear built up inside us and we become the free-flowing conduits of Love we were born to be. 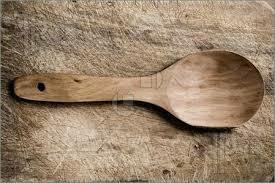 Beyond this, there is nothing more that we need…although a good wooden spoon is a handy thing to have. LG, you really are an incredible writer as I always knew you would be. I hope you’ll continue your writing journey and see where it will lead you. I couldn’t be more impressed with your eloquence. Thank-you for your kind words, JR! This particular hole in the flute has been fairly plugged for a spell, but things seem to be flowing better now…maybe it’s Fall!